The French understand how to make cities liveable. After spending time in two provincial cities in France (eleven days in Bordeaux and three weeks in Montpellier), I have come up with a short list of features that I intend to press for in the California city I live in. First, I would like an extensive electric tram system like those in many French cities. Silent, brand-new, comfortable, and convenient, the tramcars are heavily patronized by the French. Second, a clean town encourages people to move around in it. Every French city I’ve visited — with the exception of Paris — has had spotless streets. Third, easily accessible public areas that attract strollers — and I don’t mean baby buggies. I mean, people who like to stroll through a park, an attractive outdoor shopping mall, or a pedestrian commercial center. Fourth, a city government that encourages small-businesses, especially in the food sector. 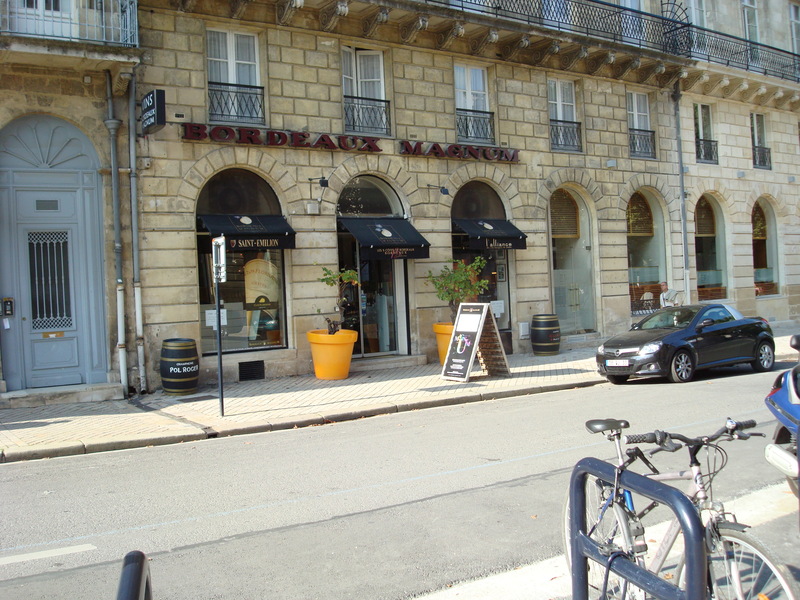 Wine: Bordeaux Magnum, 3, rue Gobineau (right off the central tram stop at Quinconces). The very knowledgeable salesmen here consistently recommended the less expensive bottle among a group. I enjoyed mostly everything that they recommended. 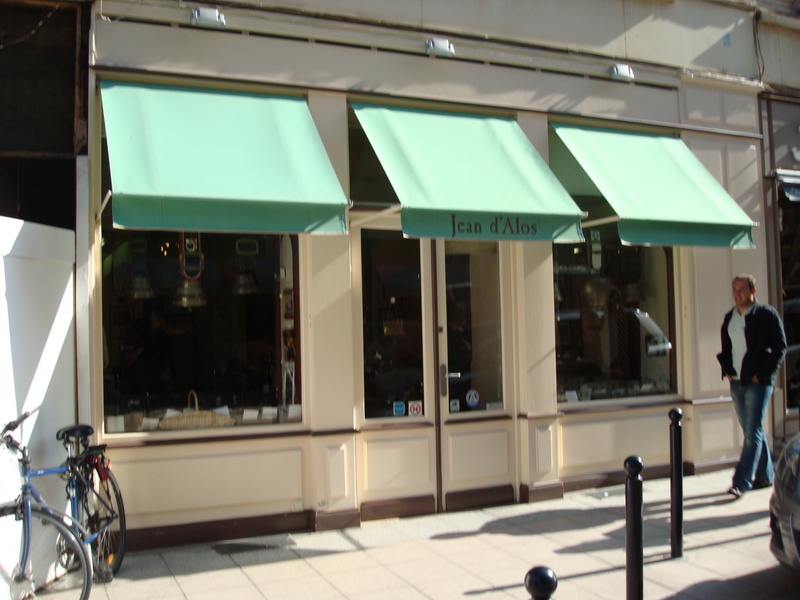 The store looks like an upmarket place, and it is that. But it’s a democratic store, too. Cheese: Jean d’Alos Frommager-Affineur, 4, rue Montesquieu, has the best and widest selection in the city center. I tasted goast blue cheese for the first time, thanks to this store. Memorable. Most of the people who work there are knowledgeable, but some more than others. The prices — forget about it. It’s expensive anywhere you buy it. But worth it. Food: The cheese store above is located in the same small area of the city center where expensive clothing stores, restaurants, and cafes can be found. An ugly, glass circular structure stands at the hub of radiating narrow streets on several of which you’ll find specialty food stores where you can burn up all those euros you’re dying to part with. 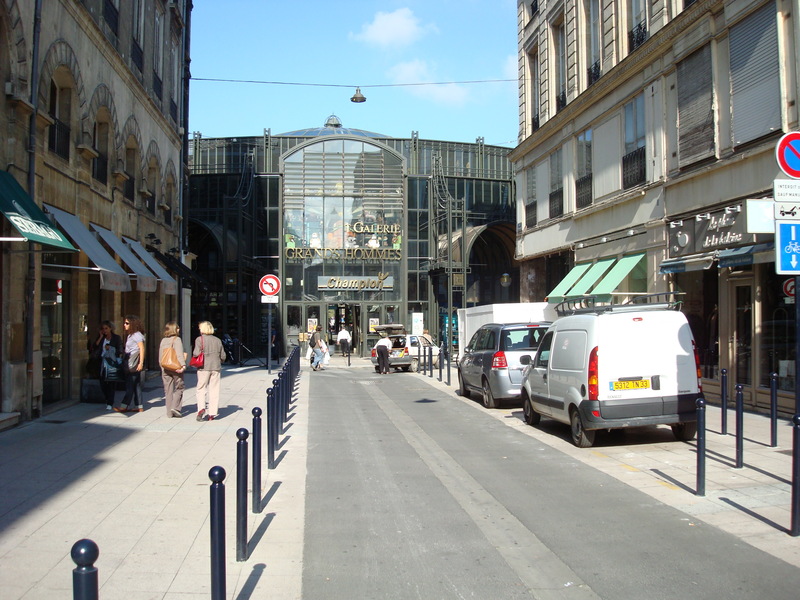 There are expensive specialty food stores on the street level of this glass structure as well. But if you take the escalator below ground you will find a supermarket and a kind of food court. The supermarket will furnish you with coffee, breakfast food, and a bewildering choice of fresh and non-fresh milk and yoghurt. At the food stalls outside the supermarket, I found a decent bread shop, a decent cheese counter (where I tasted goat brie for the first time and liked it), an Italian counter that never seemed to anyone working behind it, a prepared food counter (that sold delicious smoked bacon — ask for “poitrine fumée), a fish counter, and a fresh produce counter. When in France and Italy, DO NOT help yourself to fresh produce. Wait to be served. I plan on updating this when I go out for my last walk about the city. I want to show the shop where I found the best bread.